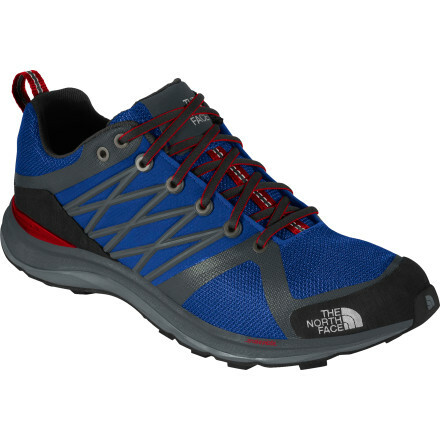 Cruise over trails wearing The North Face Men'sLitewave Guide HyVent Shoe. This shoe weighs in at a light 10. 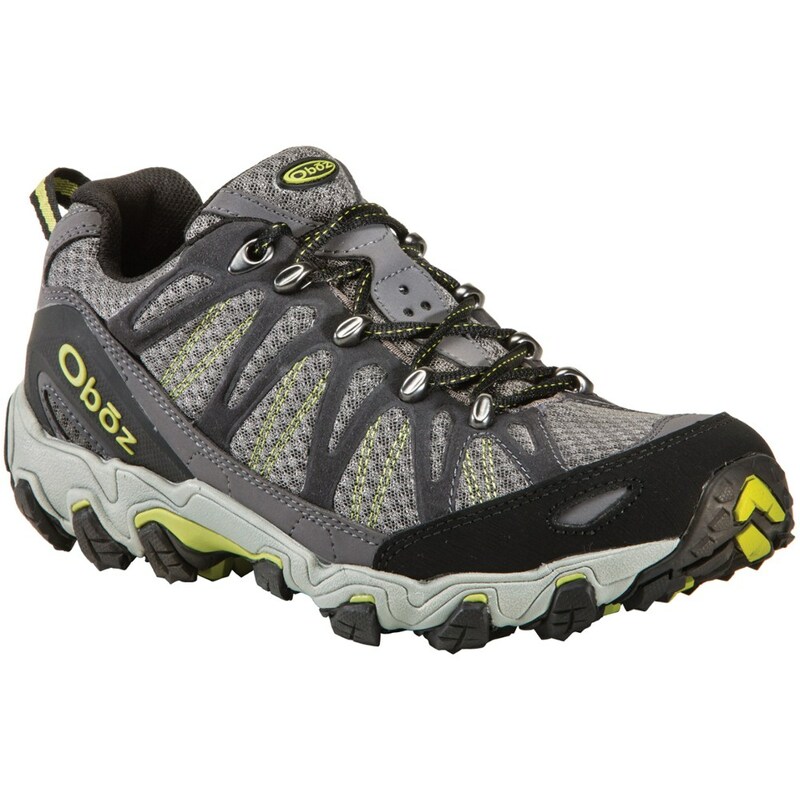 9 ounces(per shoe) and still offers support and protection, like its rubber toe cap andESS protection plate, that'll handle rough terrain. 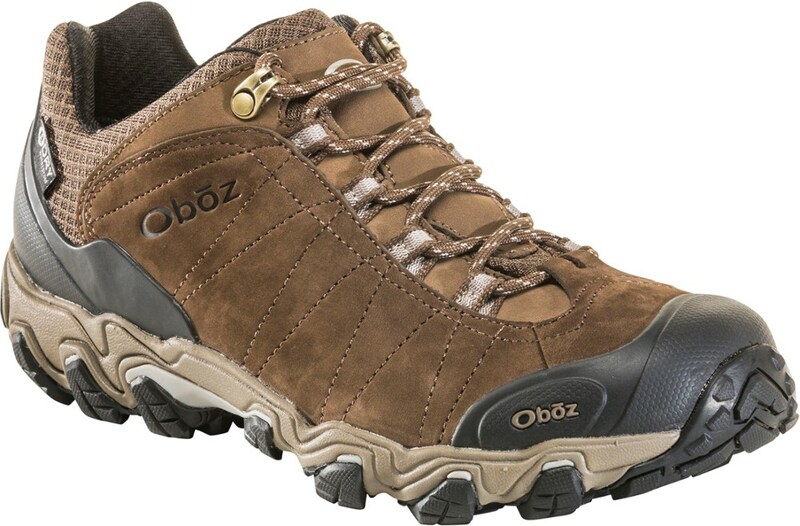 The HyVent waterproof breathable technology means so you can hike on stormy and sunny days, andits low-cut design makes this shoe as appropriate for casual days across townas for day-hikes up to the summit. 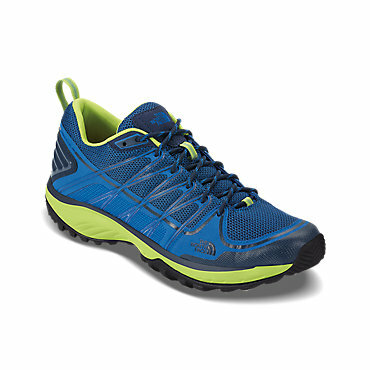 Our lightest low-cut hiking shoe ever, features a seamless waterproof HyVent upper construction to cut weight on the trail without sacrificing protection and support. Dual-density EVA Cradle Guide technology in the midsole enhances impact control during foot strike and provides a stable platform throughout your stride. 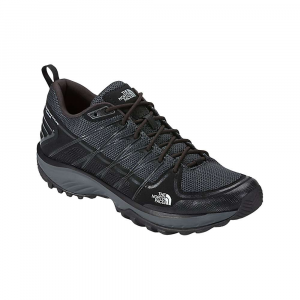 ESS forefoot protection plate buffers your foot to prevent stone bruising on rugged, technical terrain. Grippy Vibram outsole is lightweight, yet durable, and aids with stable footing in wet or dry environments. On Sale. Free Shipping. The North Face Men's Litewave Guide HyVent Shoe FEATURES of The North Face Men's Litewave guide HyVent Boot Upper: Seamless, no-sew, welded, lightweight upper Rubber toe cap protection HyVent Alpha single-layer, three-ply, waterproof construction reduces layers and weight to improve airflow and reduce internal temperature Welded TPU overlays on quarters for structure Northotic Pro 2.0 footbed Bottom: Cradle guide, dual-injected EVA midsole TPU film Snake Plate Exclusive Vibram rubber outsole SPECIFICATIONS of The North Face Men's Litewave guide HyVent Boot Approx Weight: 1/2 per pair: 12.6 oz / 357 g, pair: 1 lb 9 oz / 714 g This product can only be shipped within the United States. Please don't hate us. 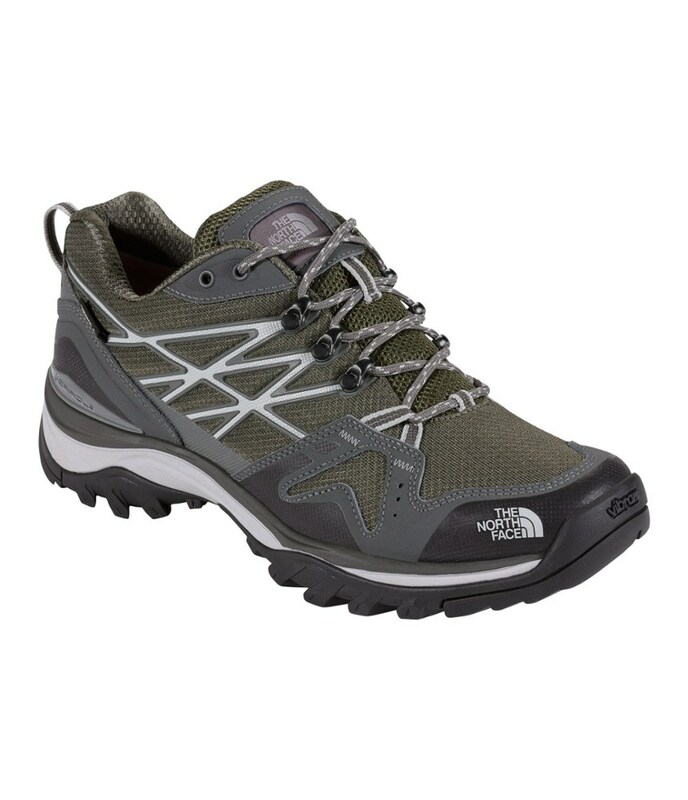 Our lightest low hiker to date is designed for the hiker who wants speed and protection to move quickly and securely over any terrain. [UPPER] Seamless, no-sew, welded, lightweight upper. Rubber toe cap for protection. HyVent(R) superior waterproof breathable technology. Welded TPU overlays on quarters for structure. Gusseted tongue. Northotic(TM) Pro 2.0 footbed. [BOTTOM] Compression-molded EVA midsole with CRADLE(TM) technology. ESS forefoot protection plate. Exclusive Vibram(R) rubber outsole. Weight: 1/2 [Pair] 10.9 oz (309 g); [Pair] 1 lb 6 oz (618 g) *based on Men's 9. 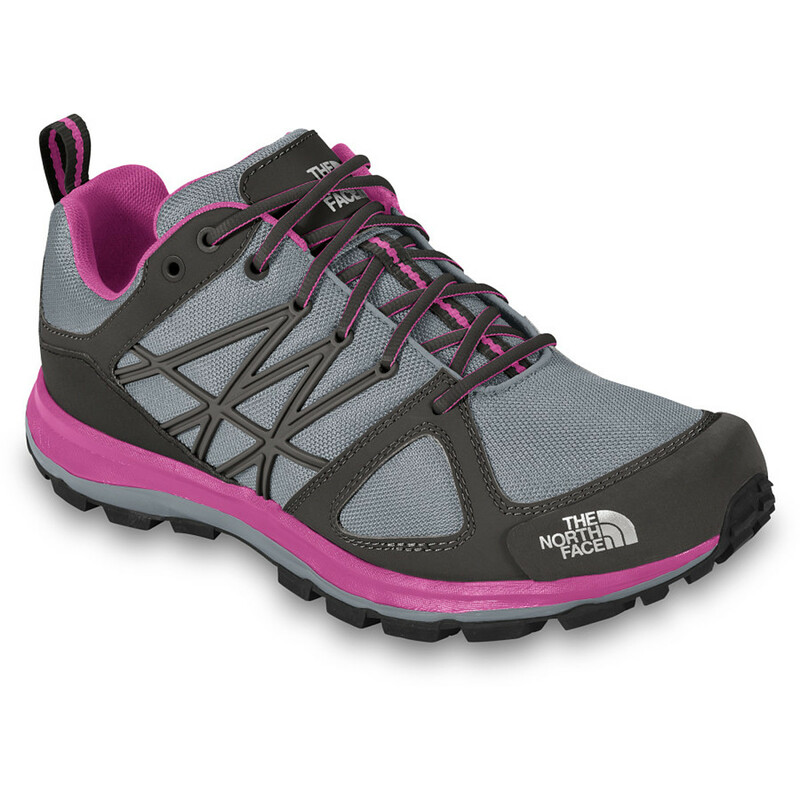 The North Face Litewave Guide Hyvent is not available from the stores we monitor. It was last seen November 27, 2014	at Backcountry.com.